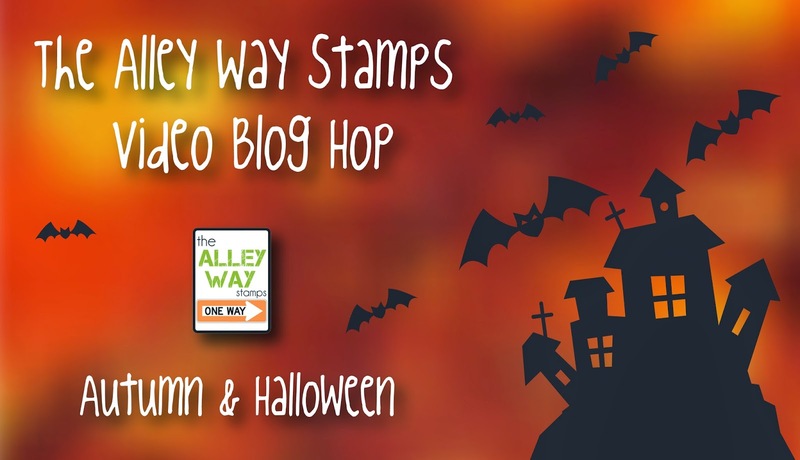 November Release Blog Hop: ENTER TO WIN THREE FREE STAMP SETS!!!! If YOU want to be that lucky winner, all you have to do is follow the Rafflecopter instructions below! If for some reason the Rafflecopter isn't working, please comment below for your chance to win. All winners will be announced by November 5! or more during the month of Novemberl!!! 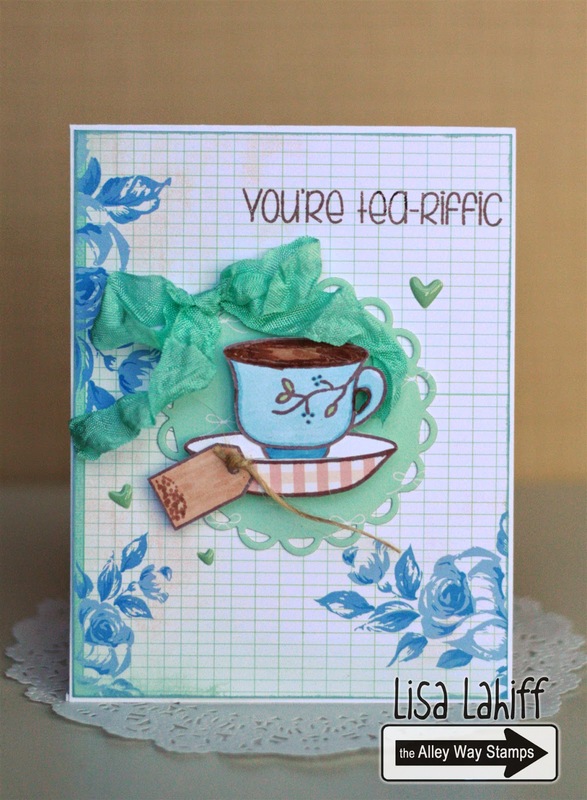 November Sneak Peek Day Three: Tea Par-Tea & And Happy Birthday!!!!! Today is our last sneak peek at the November Release! Don't forget to come back tomorrow -- we have our New Release Hop (Happy Halloween!) where we will give away ALL THREE to one lucky stamper! All the comments posted today are going into a random drawing and one of you will win the new November set - Tea Par-Tea!!! You can have up to 2 entries! Today is also Kasia's birthday! She is so amazing!!!! Here are a few of our favorite recent projects from her! Hi stampers, Tanja here. 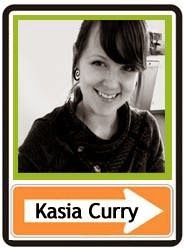 At first my big congrats to Kasia! I wish you a wonderful day! Now let's have a look at my card. I combined the pretty new set Tea Par-Tea with one of my favorite technique. I used masking technique. Bye. Hey there friends!! Jeni here...with a bit more Tea Par-tea!! I had so much fun...and will continue to have great fun with these cuties!! So many great images!! Wouldn't these make great invites to a little girls tea party!? Maybe I'll have to do a party for the American Girl Dolls...my girls would love that!! Have a great one!!! Hello! Kasia here with a project that actually came about because I have been trying to organize a bunch of our favourite family recipes. 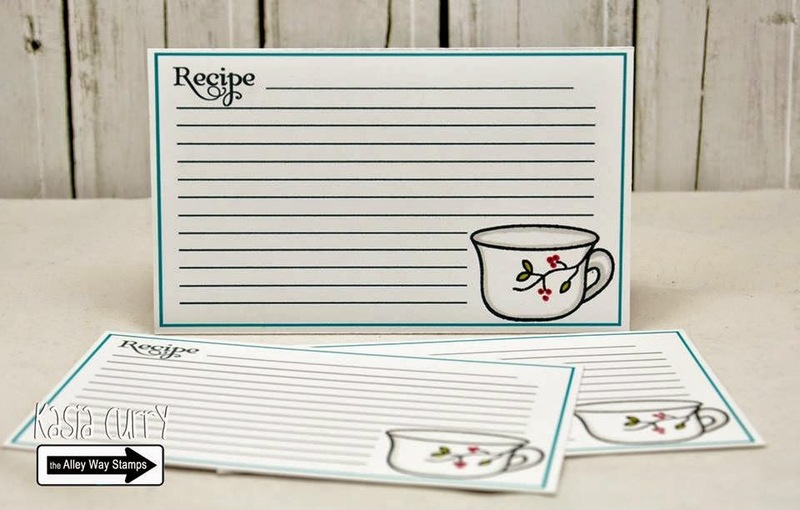 I designed this little recipe card in Photoshop and left just enough room in the corner to stamp that adorable little teacup. Now I had to, carefully, selectively stamp because there wasn't quite enough room for the entire cup. So, what did you think of the sneak peeks yesterday? Did you love the Making Holidays Bright set???!! It's time to share a few little sneaky peekies of another set!!! Don't forget to come back tomorrow for another sneak - we have three full days of sneak peeks! And we have our New Release Hop this Friday, October 31 where we will give away ALL THREE to one lucky stamper! 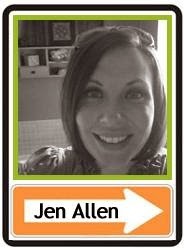 Woo hoo - it could be YOU! 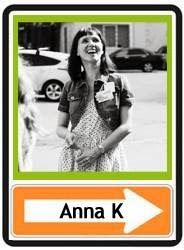 Hello from Anna, friends! 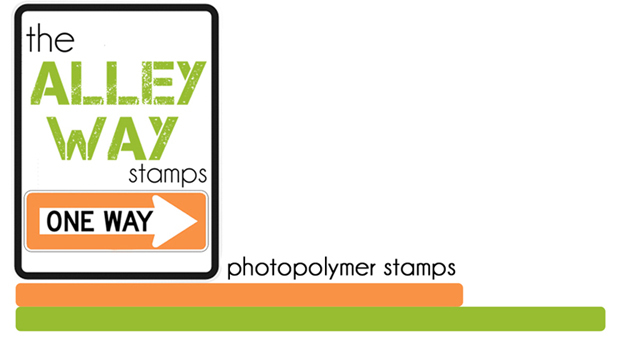 And another amazing background stamp is here too! I love it so much! I made a white embossing and colored it with watercolors. Hi there' it's Christine. 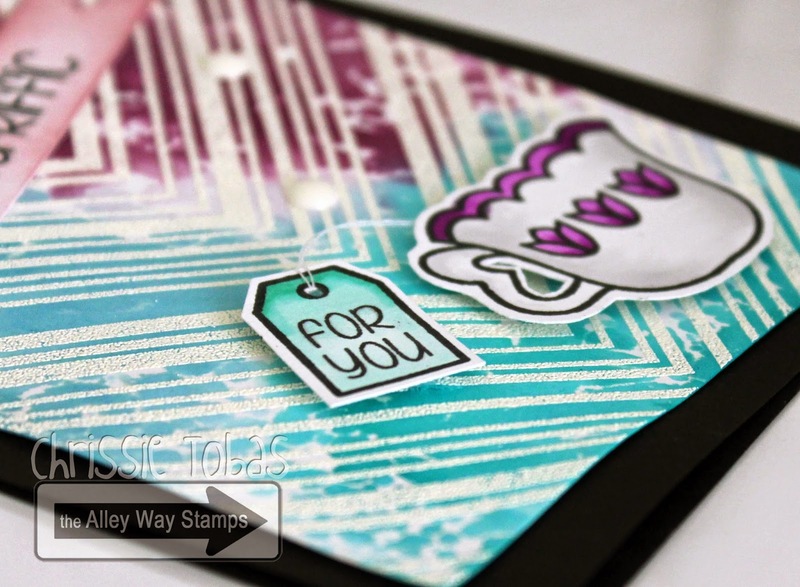 What I really love about background stamps is that you can always cut them down to just a nice backdrop peace if you don't want it to be to overwhelming. I used Line Upon Line for a round panel to ground the little bunny from Now you see me on it. 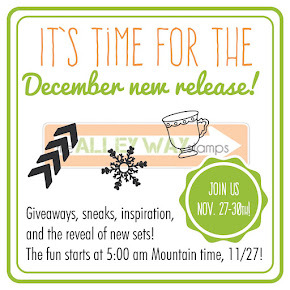 We have our first Sneak Peek giveaway today for the November Release! Are you READY for it??!!! We are getting in the Holiday Spirit!!! All the comments posted today are going into a random drawing and one of you will win the new November set - Making Holidays Bright!!! You can have up to 2 entries! Hello! 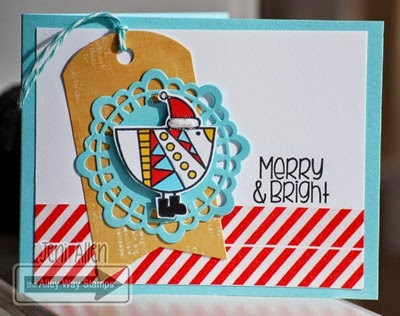 It's Tracy here with a card using the new Making Holidays Bright set. I created a non-Holiday themed card to show its versatility. I love this set! I also used the Face It set for the sunshine "face." Hello, Sabine here. 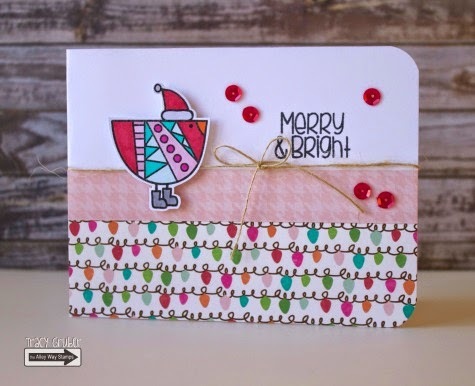 Making Holidays Bright is a beautiful Christmas set loaded with snowflakes and sweet sentiments. 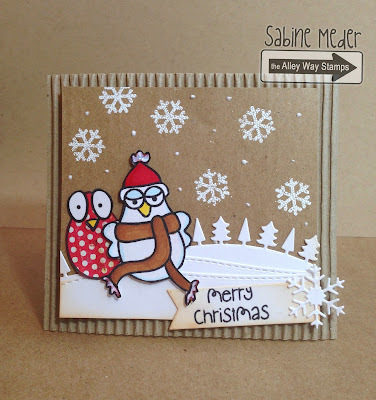 I heat embossed the snowflakes and the birds are from All Wrapped Up and Birds Of A Feather. Hello! Dana here with a sneak of Making Holiday's Bright!! 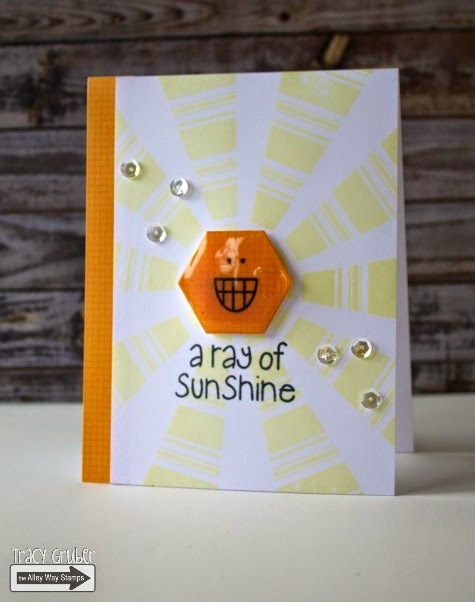 I decided to make a non holiday card, making my card around the sunshine sentiment! Anni here! I made a christmas card with the set, too! Just love the triangles! Hi! 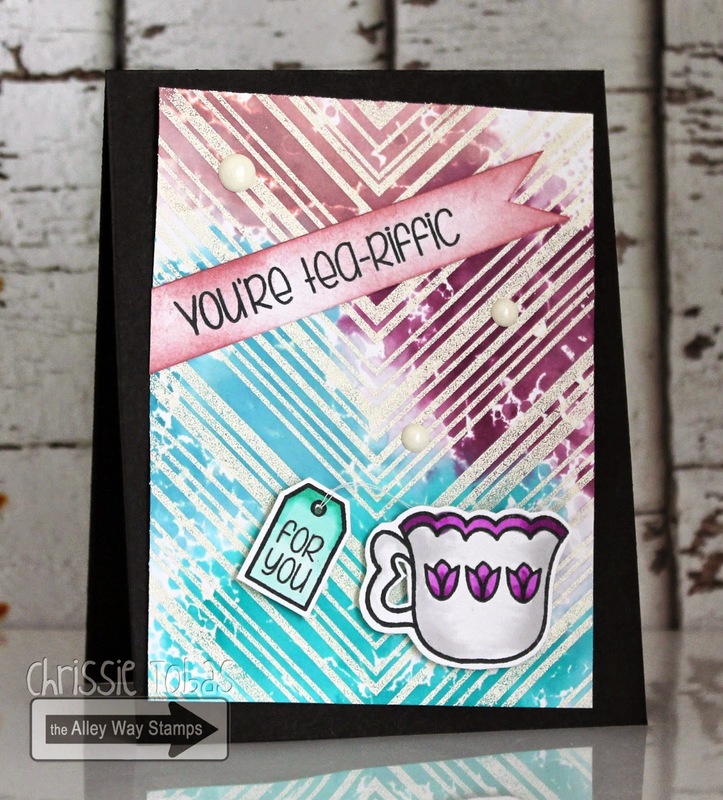 Chrissie here today! I wanted to share a fun Christmas Card I made using All Wrapped UP! I colored in that cute bird and placed him on top of a doily! The sentiment is from Jolly Holiday. So fun! 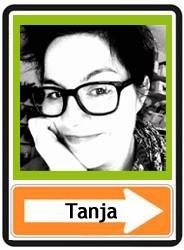 Hi everybody, Tanja here. Today I would like to showcase you a card which is a lift of a card my teammate Anni made a few days ago. I used Lava You (free when you spend 40$) and Prehistoric. Hello! 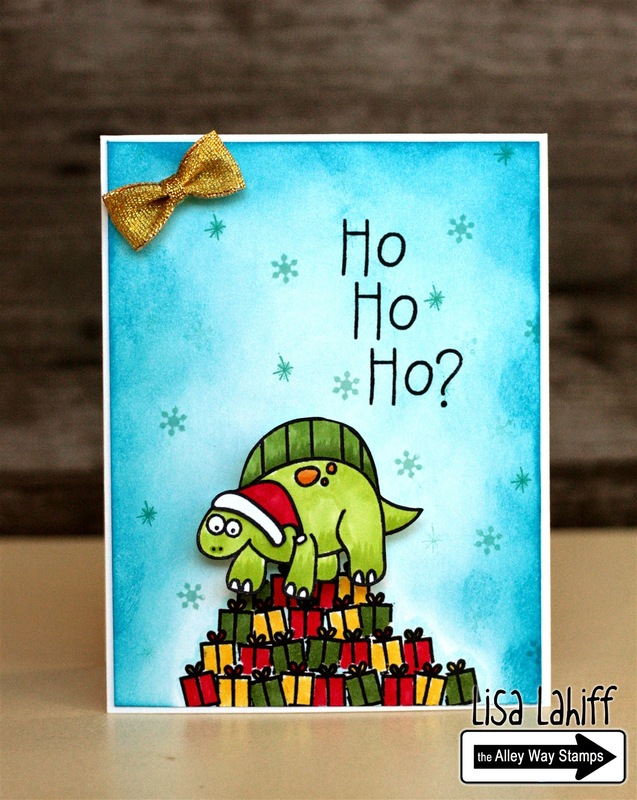 Lisa here and I have a funny little Christmas card to share with you today using some new stamps and some old... 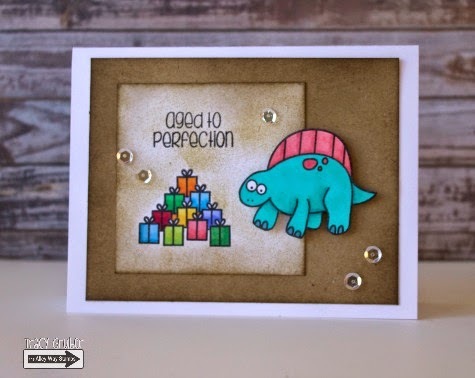 This little dino and the presents comes from the mini Lava You Stamp Set, that is free this month with any $40 purchase. 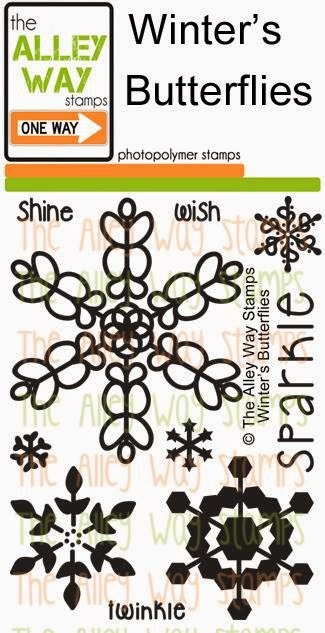 I have also used the Tag-alongs stamp set for the Santa hat, the Fa-la-la Stamp Set for part of the snowflackes, and the Gabfest Stamp Set for the sentiment. Hey there friends!! 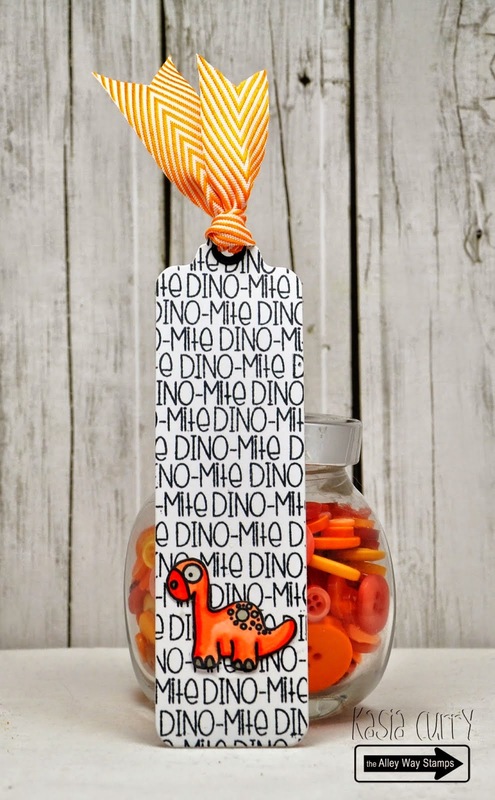 Jeni here stopping by with a little bit holiday cheer! My little birdie is from the All Wrapped Up set, and I just noticed that we've got two cards with birds on doilies today! How fun is that!? Great minds think alike! Thank you Lesley for Guesting! I just want to say HUGE THANK YOU to Lesley for guesting for us. She has two more adorable creations to share with us today. I know you will love them, just as much as I do. Hello! It's Tracy here with a simple and cute birthday card. 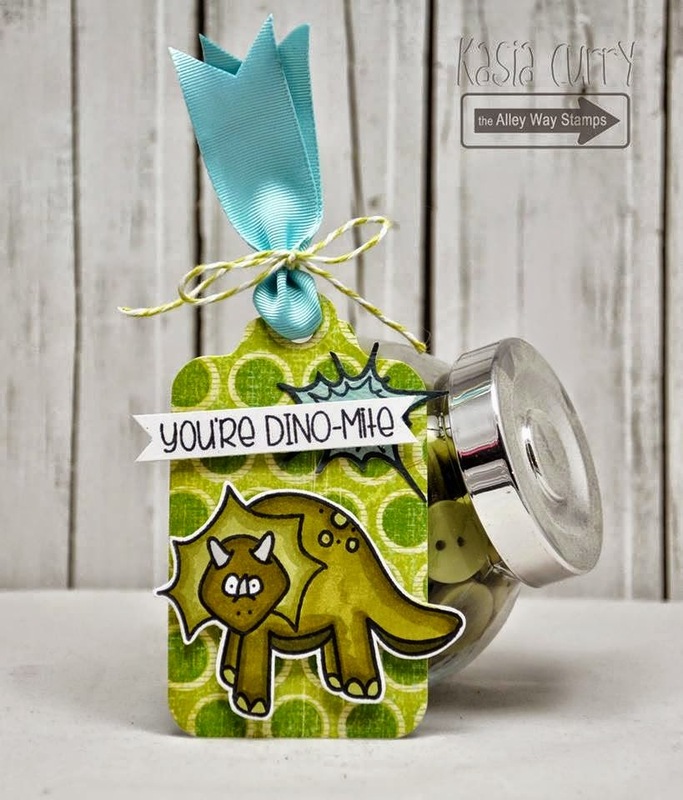 I think that sentiment is so fun paired with the dinosaur! They both come from the freebie for this month, Lava You. We make a perfect pair! Hello! 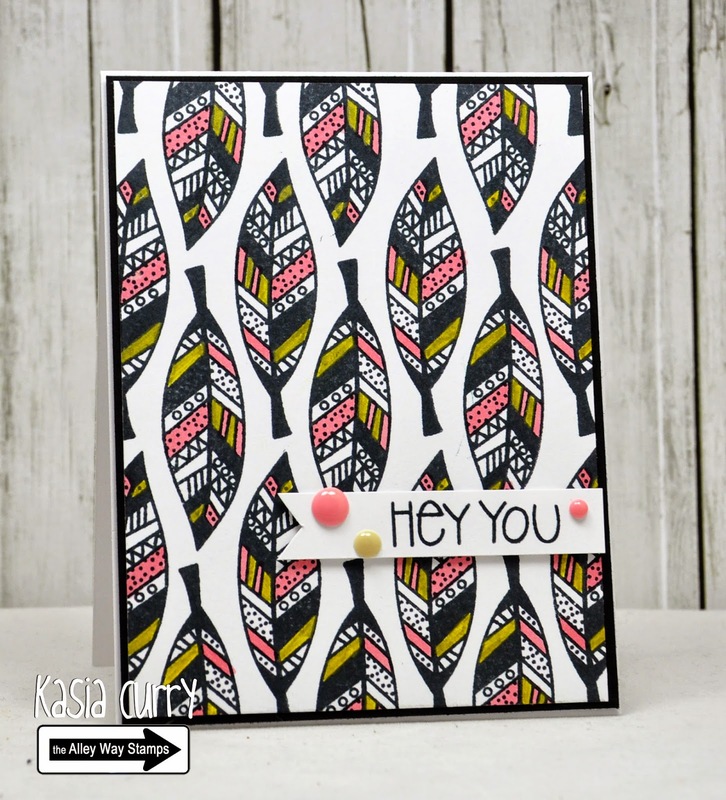 Anna's today with you, and this is my card with feathers from Tickle Me Happy and long sentiment from Rock Solid. 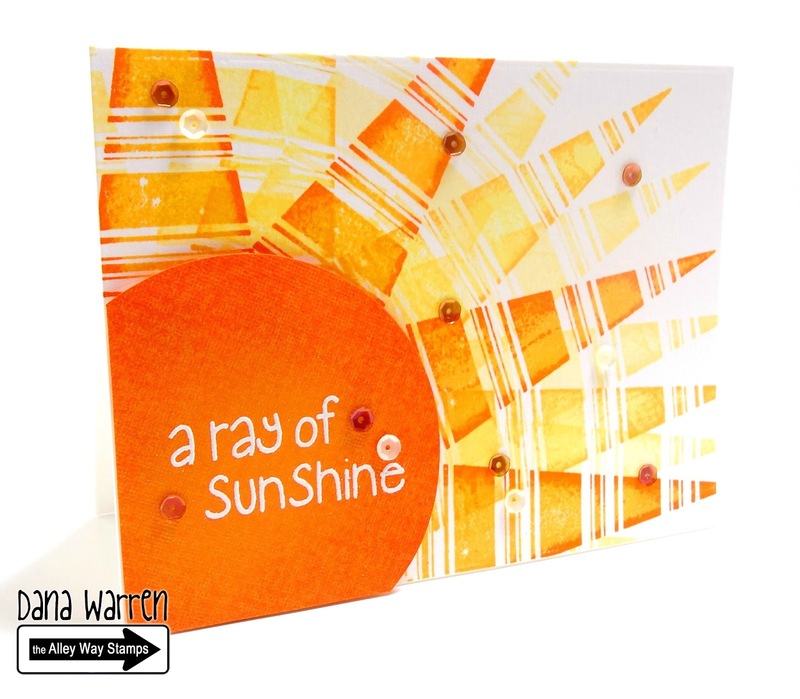 Easy and elegant card to say something warm. 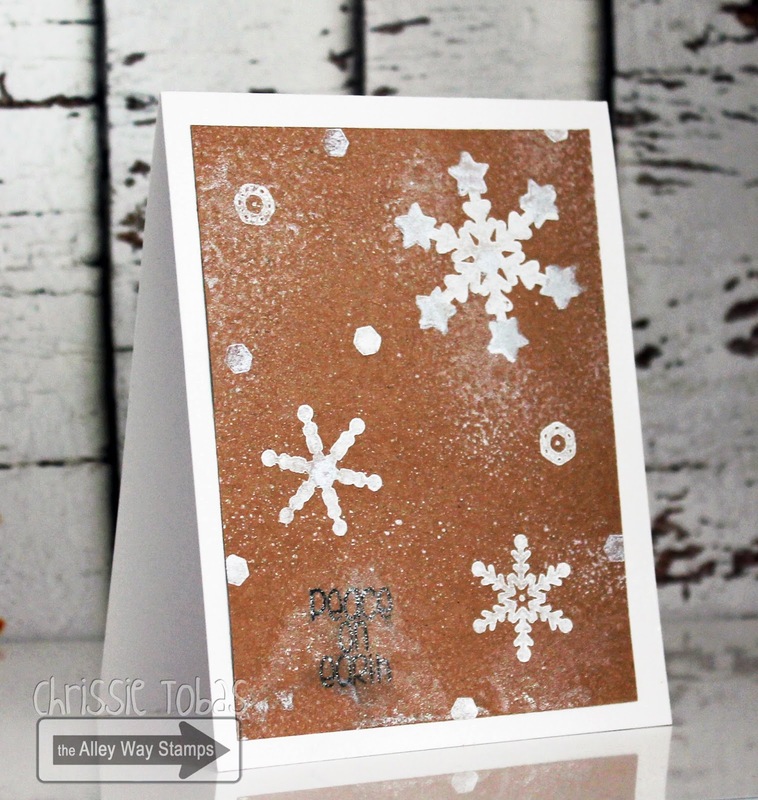 Chrissie here, with a shimmery snowflake card! 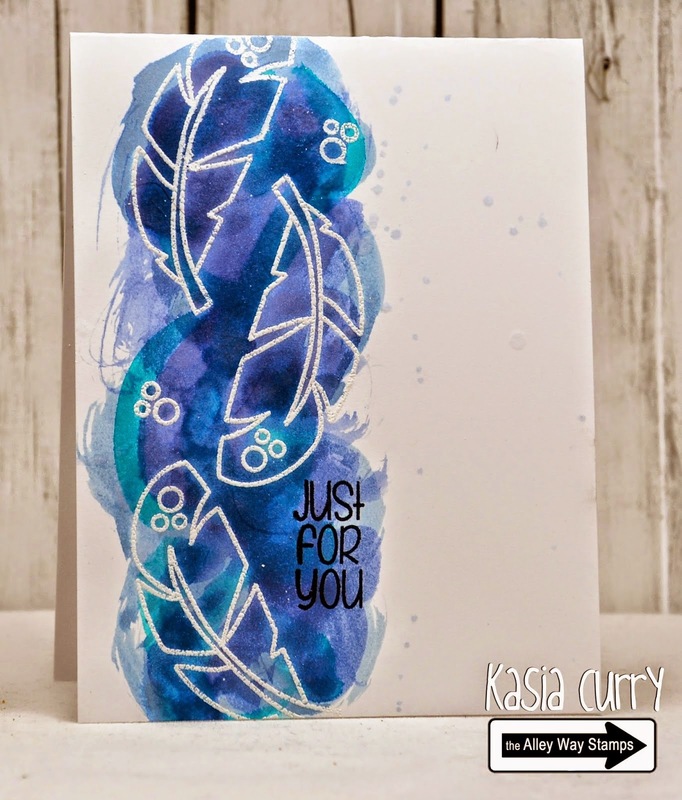 I stamped the snowflakes in white and silver and I sprayed a ton of shimmer spritz to make this card really shine! I used Snow Daze and All Wrapped Up. Hello! Tracy here with a festive holiday card for you. I used the All Wrapped Up set to stamp that cute little bird in a sweater and the sentiment. Morning! Kasia here. I had so much fun creating an coloring this card. 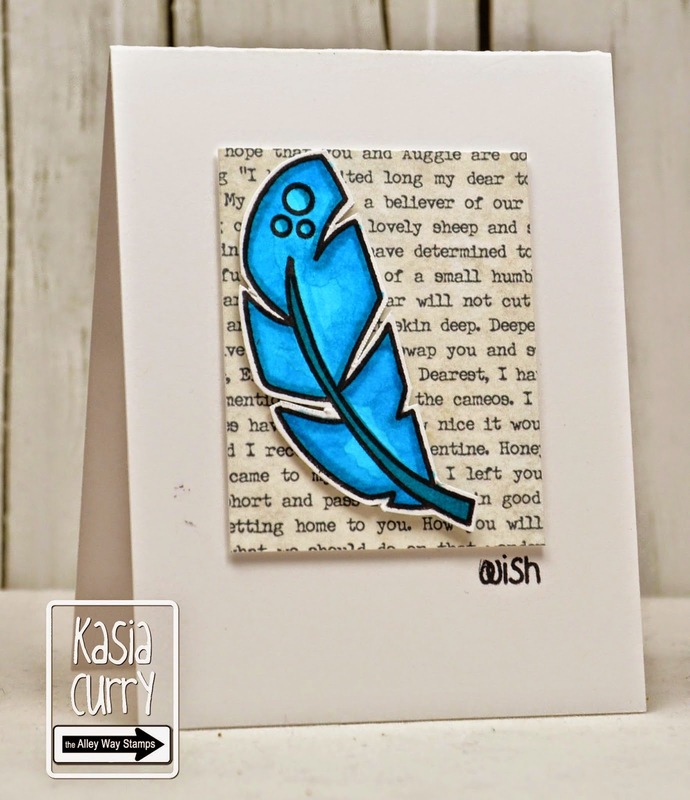 I used a feather from Tickle Me Happy and a sentiment from Tri-Me. Have you HEARD? 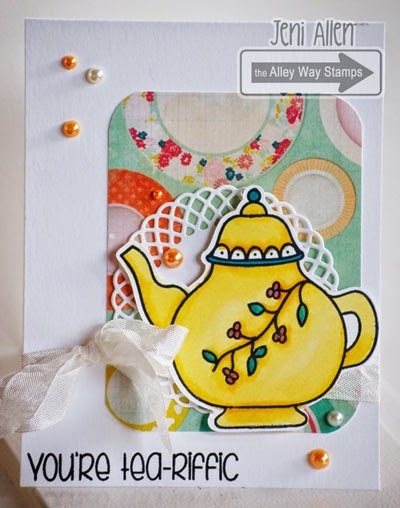 VIDEO BLOG HOP! HOW TO WIN: If you want the chance to win a free mini set, just hop around and watch all the videos! While you watch, keep a pen handy! 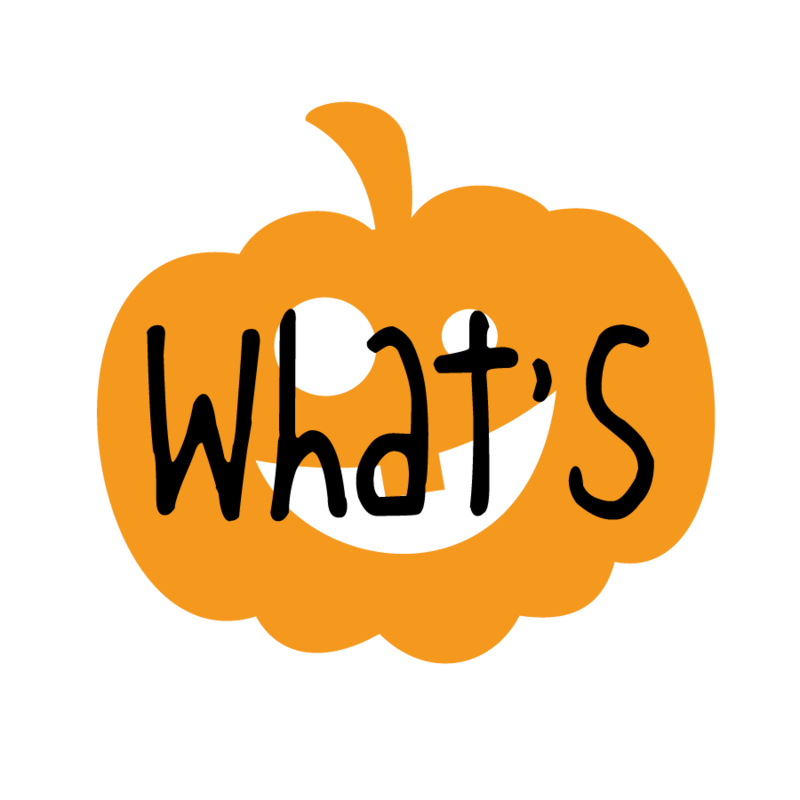 We all have hidden pumpkins in our videos that spell out a phrase. Once you know that phrase, email Chrissie at harvestmoonpapiere@gmail.com the phrase with your name and one participant will be randomly chosen to win In Stitches! The hop will last through the weekend, so you have plenty of time to watch the videos and learn some new techniques. 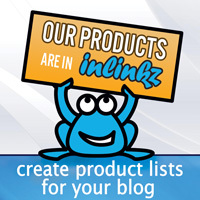 You have until 11:59 pm (Mountain Time) on October 26 to get your email in to win. 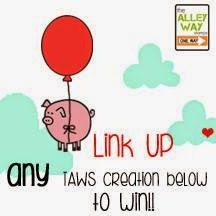 The winner will be announced on the TAWS blog by Saturday, November 8. Now, head on over to Therese to get started!!!! Hello! Dana here!!! 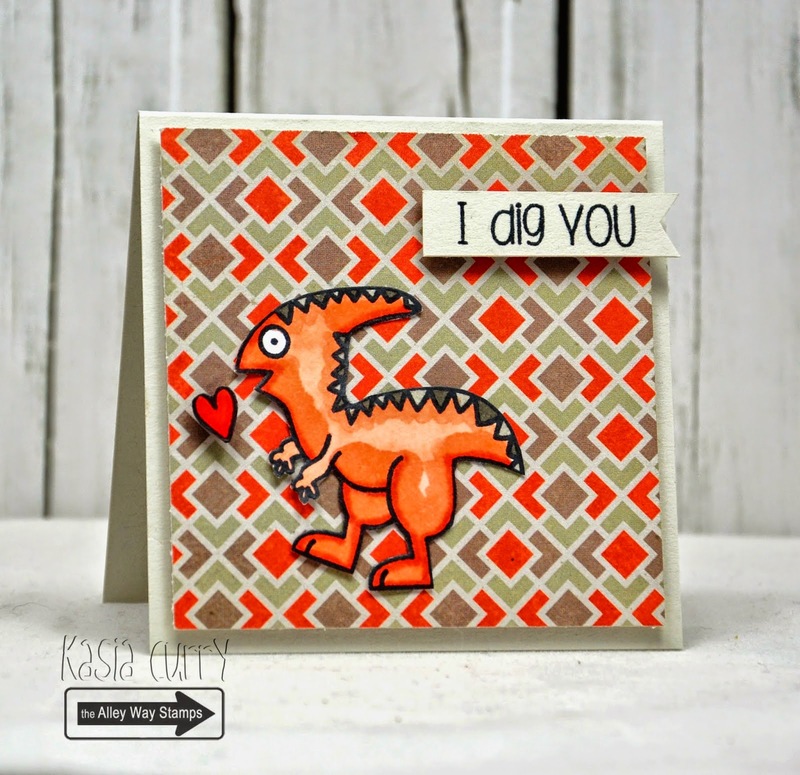 I got the inspiration for this card from a challenge (check out my blog to see the photo inspiration!) 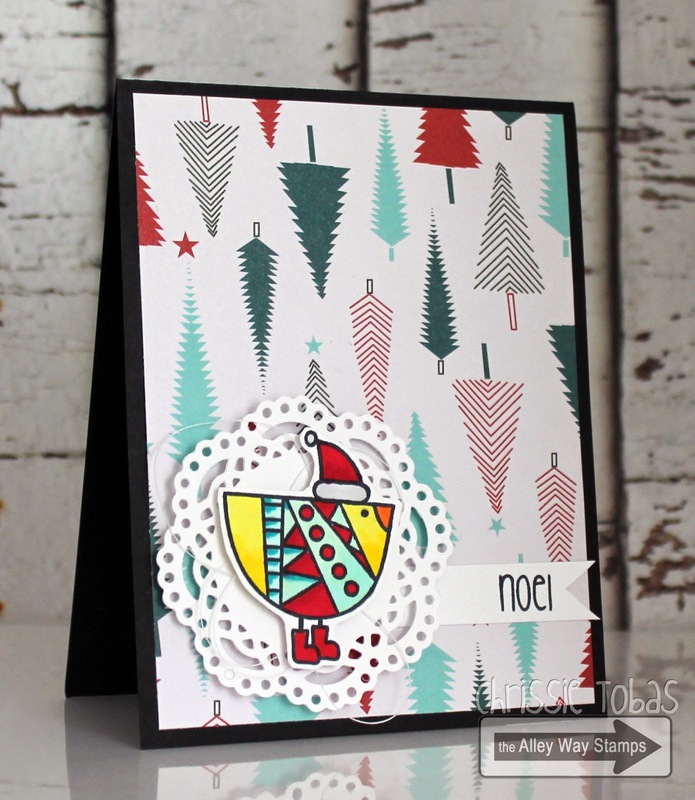 I used a snowflake from the new set Snow Daze and one of the backgrounds from Bitty Borders! Hi! Tanja here with my second christmas card this year (I guess :-) ) For this card I used Snow Daze and I sewed the edges with my sewing machine. Bye!! Sabine here.Hi,I used the adorable mini set Lava You (free when you spend 40$). 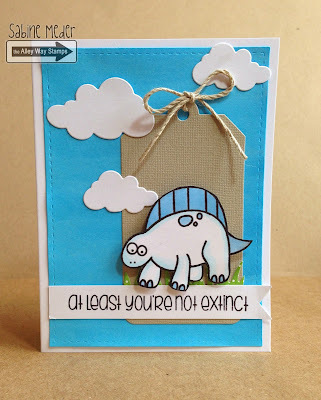 How cute is the light blue dinosaur?! Love him! You can never have too many shaker cards (video)! Frozen Birthday Card & A Warm Welcome!